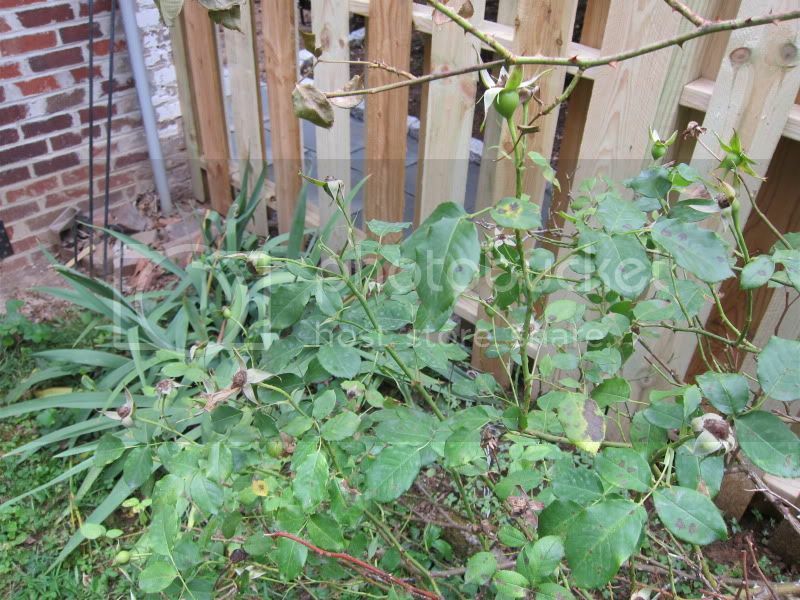 I inherited a rose bush when I purchased my house in Washington DC. It would bloom from March through October, and sometimes even in November and February, so I think it's one of those ever-blooming kind. I don't think it has ever gone without at least one bud during those months, but after the recent trauma it has suffered, it has none. 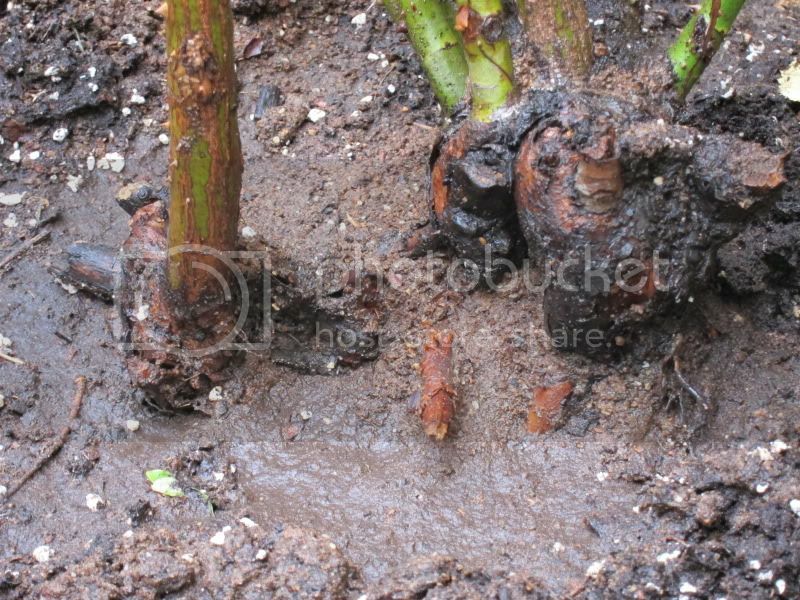 Its roots and canes were entwined with a tree that looked to be about 40 years old based on its width, so I assume the rose bush is at least 40. It looked like the rose bush had grown its bud union around the tree, so that most of the canes came out of the main bud union, while one cane came out of a secondary bud union that was separated from the main bud union by the tree. I cut the tree down pretty far, but not all the way to a stump, because it got too thick. I never considered removing the tree because it looked like the rose bush and tree were inseparable. I was going to cut the tree down to a stump, but just never got around to it, so it did continue to produce new growth, but I just kept hacking those off. 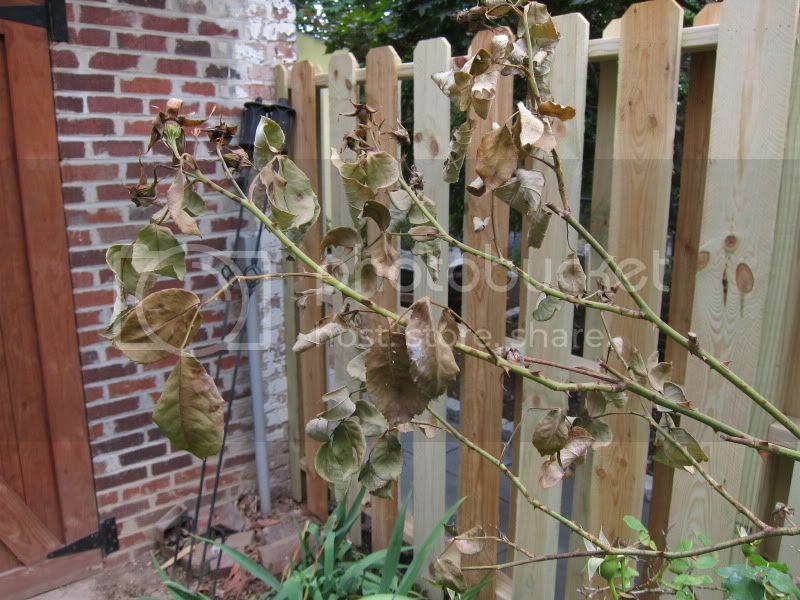 Then my neighbors decided to landscape their yard, which required putting in a fence, which would abut my rose bush. 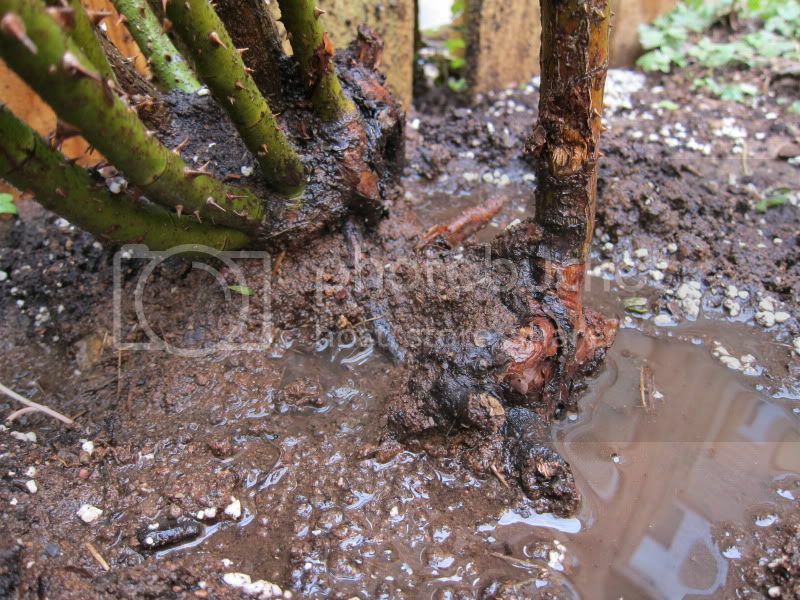 They promised me that the contractor would provide the utmost care and not touch the rose bush at all. 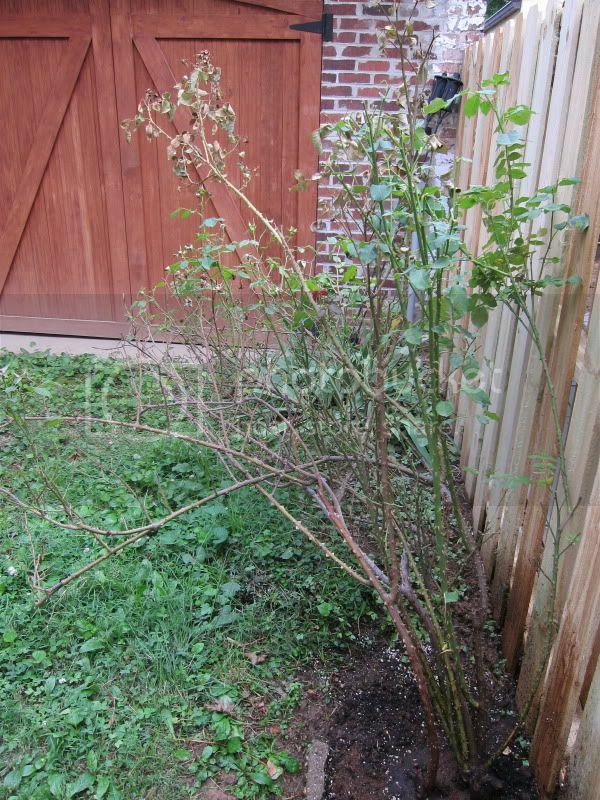 So of course, the contractor cut off three new canes from the rose bush, and removed the tree completely. In this removal, it looks like they ripped off half of the secondary bud union of the rose bush. Now one of the oldest canes (the one that produced the most blooms) is drying up, the leaves are all shriveled and brown, while all the other canes are just fine (if a little diseased, I never sprayed it with anything). However, it looks like this dried-up cane is still connected to the secondary bud union, which seems to still be connected to the main bud union, so I'm not sure why this cane is failing like it is. I definitely found a lot of shortened and exposed roots, which might also be the cause, but only this one cane is affected. I'll post pictures when I get home tonight, but I wanted to vent, and get started on soliciting ideas on how to save this cane. You can see a few roots were chopped off near the front, and the left part of the secondary bud union is where the top was torn off. This is the top of part of the dying cane. This is the relatively healthy part of the bush.